Join a class and down the rabbit hole we go! 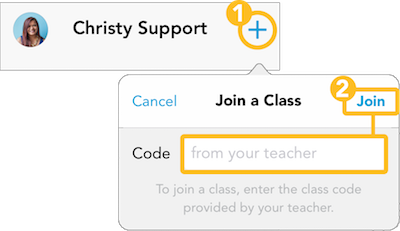 Once your student account has been created and you’re able to log in to Showbie, follow these simple steps to join another class. Don’t have a code yet? Ask your teacher for their class code. If your teacher doesn’t know their code, they can find it in their class settings. Your teacher probably already has assignments for you to start adding work. Good luck! Getting an error message when you try to join a class? Your teacher likely has to unblock you from the class first.